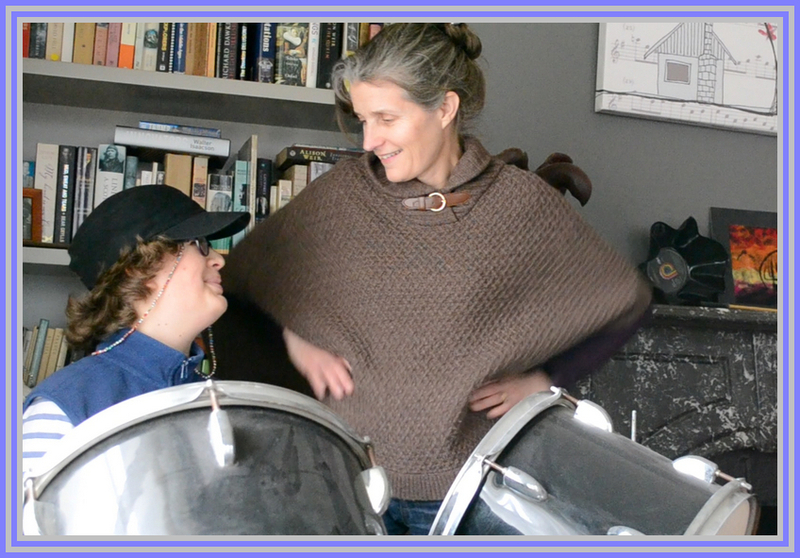 Music Interaction for Families with Autism, Asperger's, Cerebral Palsy, ABI, MS, Downs Syndrome or MND. 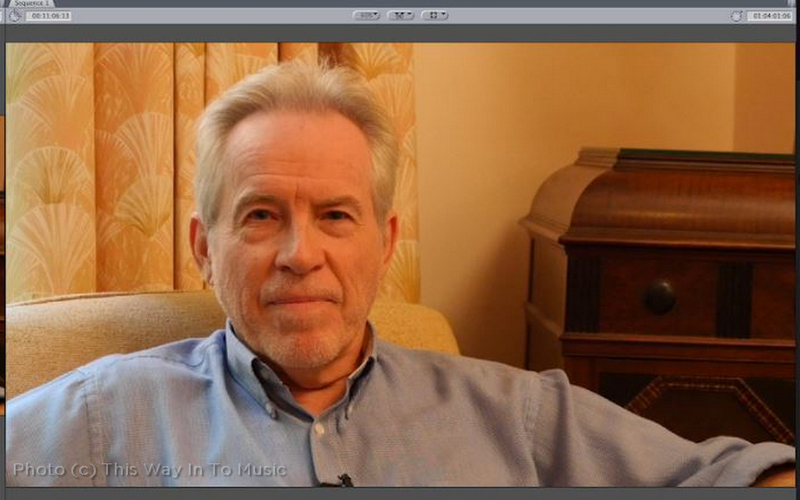 This Way In To Music is a program designed by a famous Australian musician, Alex Smith (of Moving Pictures and who recently released a solo album The Thread). What is This Way In To Music program ALL about? “This Way In” is a program designed for parents, teachers, carers, siblings and grandparents of children with special needs. In particular, it aims to help families living with children with Autism, Aspergers, CP, ABI, MS, or other conditions leading to learning challenges and/or cognitive challenges or other disabilities (we like to call these diff-abilities or different abilities rather than disability). It’s a digital series of over twenty 20-minute episodes designed to help transform families using the EMPOWERING nature of music and social interaction focused on sound, rhythm and music. The first sessions are releasing in 2019 after 4 years of filming special needs families who are parenting children with very different levels of ability, socialisation, verbalisation,cognition and focus. This Way In To Music by Alex Smith is specifically for Families with children living with Autism, Aspergers, Multiple Sclerosis, Cerebral Palsy, Downs Syndrome, Acquired Brain Injury (ABI) or Motor-Neuron Disease (MND). It can help families through the entire range of disability conditions and is fully adaptable and easy to learn to use. How are the Music Interaction Sessions delivered? 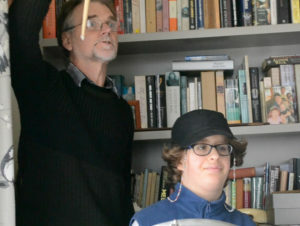 It is easily adaptable to a variety of abilities and conditions, including PRE-verbal to highly functioning autism to conditions that leave the child wheelchair-bound or paralysed (we like to say current non-verbal is PRE verbal instead; because we’ve been amazed that MUSIC and sound can sometimes brings out the VOCAL connections that have otherwise stayed dormant – ask us for case study examples or order our book (being published in May/June 2018). How does it work? Do I need instruments and musical ability? 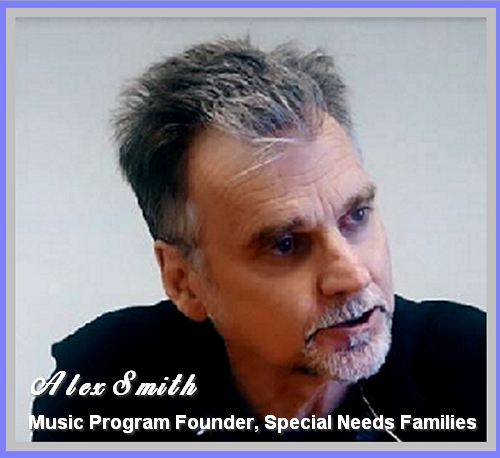 Watch MARK GABLE’s VIDEO where he discusses his support for Alex Smith’s music program. What happens during a session? How can I get my child, who is normally withdrawn from social interaction, to participate in music interaction? Music Interaction with Alex Smith – Digital Series for FAMILIES living with DISABILITY including Autism, ASD, DOWNS and ABI. We also provide interviews with REAL parents and TIPS from other parents raising children on the spectrum of Autism/Asperger’s or with Downs Syndrome, Cerebral Palsy, MND, Multiple Sclerosis, Acquired Brain Injury, Stroke and more. 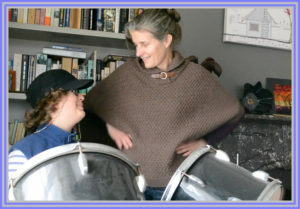 Transforming Families Living with Communication Differences through the Power of Music and Sound. This Way In To Music is a digitally delivered music-themed program to help families living with disability. The primary program aims are to reduce isolation, encourage interaction and social connection, and improve family quality of life using the POWER of MUSIC and SOUND. 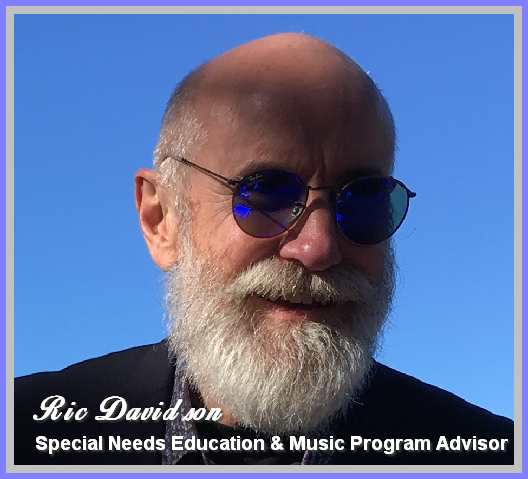 The music program was developed and designed by musician Alex Smith over 20 years of experience in music interaction in Special Needs Education settings. Our Music Interaction program aims to help parents, children, siblings, teachers and carers who live OR work with children with disability. 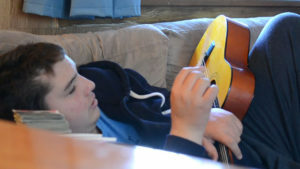 The program aims to encourage positive social interactions and creative self-expression for children who are otherwise isolated or restricted in engagements with others, using MUSIC as the conduit to connect and calm. The program can help families enhance socialisation skills, enjoy more proactive and positive communication styles, and improve the child’s sensory-perception-and-cognition processes by encouraging cross-transferable skills via MUSIC THEMED games. It is designed specifically to assist families who are raising children with various forms of neuro-developmental differences including being on the Spectrum of Autism. It’s particularly effective for families living with Asperger’s, Autism Spectrum Disorder (ASD), Cerebral Palsy (CP), Multiple Sclerosis (MS), Motor-Neuron Disease (MND), Downs Syndrome and Acquired Brain Injury (ABI) or Spinal Injury. Recognising that EVERY child is unique, the program is readily adapted to suit an individual child’s level of verbal communication (pre-verbal to fully articulate) AND any physical ability or intellectual capacity challenges the child and their family is facing. Our program can help families living with Disability (although we prefer to call it Diffability or Different Ability). Adaptable to Suit the Child – The Music Interaction program is readily adapted by parents to help meet the capacities of each child being helped. Singer/Musician Alex Smith, working with Special Needs Music Interaction for over 20 years, provides numerous tips for adapting exercises for different abilities, physical limitations and sensory-perception disorders. 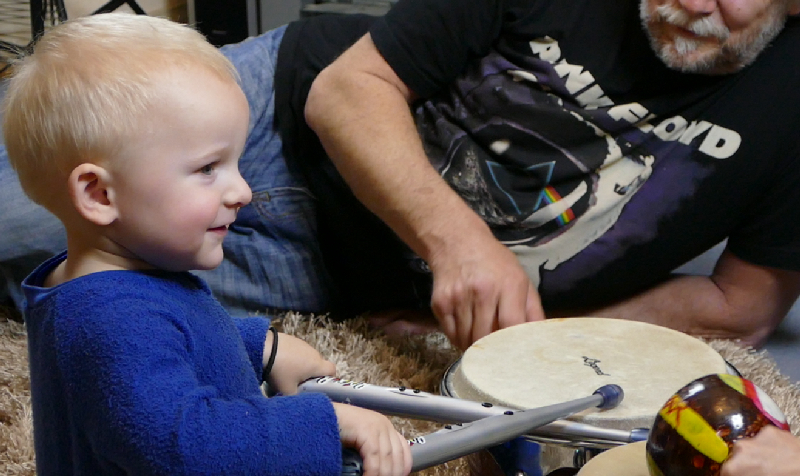 PROGRAM KEYS: encouraging focused attention, creative self expression and vocalisation; and social skills learning VIA providing comfortable socialisation opportunities and CALMNESS through CONNECTION – using the power of mimesis and sound (music). What is the aim of the “This Way In To MUSIC” program for children with Autism or other Disabilities? Our Program is designed to assist families and teachers or carers in transforming socialisation, play time and skills building capacity in children with special needs or different communication styles. The program provides REAL LIFE EXAMPLES of at-home, play based session themes. The program relies on an “AIM” theory. 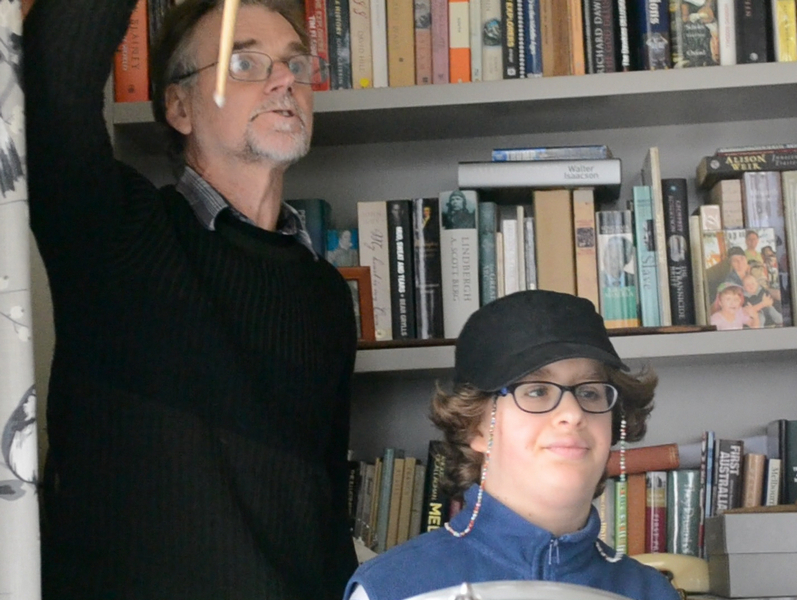 He now brings his learning to other parents, carers, teachers and educators with a passion for using music interaction towards positive changes. All sessions are required to have an adult FAMILY MEMBER in attendance and ALL family members are encouraged to participate. Alex Smith and his wife Sophie (a renowned UK Sculptor/Artist) are loving parents to two amazing children. They reside in Italy most of the time but spend a lot of time in Australia, where Alex was born. One of their two children is on the Spectrum of Autism (diagnosed with Asperger’s). Hence, the Music Interaction Program founder and episode presenter, Alex, has first-hand experience raising a child with a DIFFABILITY and how that impacts the family dynamic and education system decisions. He has an additional 20 years of working with hundreds of families and children with special needs using music interaction techniques. He has done extensive personal research into how to best help families adapt to the challenges they face when their children move through the education system and/or socialise or study with peers who have different capacities and unfamiliar ways of processing events. We know that “where words fail, music speaks” and we know the power of our brains to connect using music. This program uses music-themed sessions to engage (stimulating attention), connect (encouraging emotional intimacy), and encourage sound-themed imitations (mimesis) for using music and musical instruments to create enjoyable and productive social interactions with others in the family or learning group. There are several methods of participation or involvement for parents interested in the program. This Way Into Music Program: Designed as a Series (Year 1, Year 2, Year 3 and beyond) of 6 to 8 digitally streamed sessions that parents, carers and teachers can use to learn and hone these skills. Filmed interviews with experts in Autism and with other parents, to help parents understand the different ranges of professionals that MAY be able to assist with their child’s development, education and growth – and which approaches may be worth trying first in terms of effectiveness or likelihood to suit their child’s unique capacities. We will be featuring several different families who have used Alex’s Music Interaction and socialisation music therapy game theory with their children who have a disability or neuro-developmental/cognitive processing difference. There will also be downloadable resources and special-needs parenting tips from Alex Smith and other parents of children on the spectrum. In addition to the core series sessions, extra Music Interaction sessions will be released as new research emerges in areas of parenting, special needs education, teaching, music interaction and disability. The cost for one episode (Music Interaction Program segment) ranges from $29.95 to $79.95 depending on the particular format and session duration. An annual series (renewable each year and up to 60 episodes over five years) is $299.95 USD/AUD each year. Music packs also available. (Note this is preliminary pricing). Getting a diagnosis (or suspected diagnosis) of your child’s diffability can be confronting for most parents and family members. So we’ve created Special Resources for parents who have just found out their child has a DIFFABILITY, such as Autism or Asperger’s (on the spectrum), Cerebral Palsy, Multiple Sclerosis, MND, or an Acquired Brain Injury (ABI). The Special Needs Parent ADAPT Pack is only $29.95 (digital streaming delivery format) or $29.95 (printed). Contact us for other formats (prices vary). The ADAPT Pack includes one REAL LIFE EXAMPLE session along with downloadable tips sheets for printing or laminating. Contains: One introduction session/lesson for music interaction skills training, Adapt Pak and downloadable/printable TIPS sheet. Shipping options may be available – contact us for details. Shipping outside of Australia or the USA may incur additional shipping and handling fees; contact us for details if you prefer the non-digital version. Delivery time frames for digital: As per the release schedule or upon order for pre-released segments. Delivery time frames for USB/paper versions: Allow up to 20 days post session release date. Hear from the parent of a child on the Spectrum who participated in THIS WAY IN TO MUSIC sessions with Alex Smith. Welcome to the THIS WAY IN TO MUSIC program pages from parent & musician, Alex Smith. We know it can be challenging to have a child, or children, who have different neurological or physical abilities to others in the community. “I know, as I am the parent of a child on the Spectrum (Autism Spectrum). My wife, Sophie, and I found it frustrating to get our child the attention we felt he needed as he journeyed through his early education years. I ended up going into special needs education (special education) as a Music Interaction Program trainer. 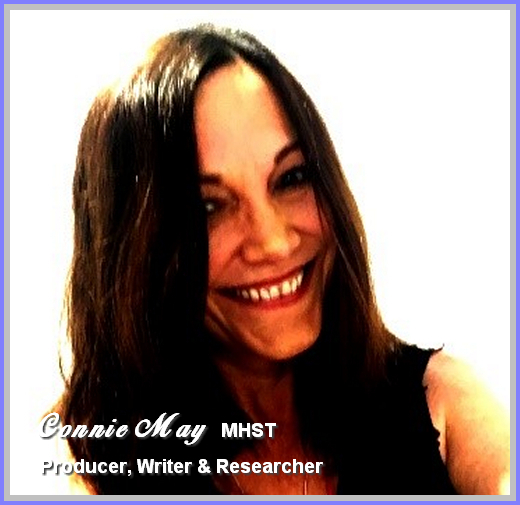 Read MORE about our THIS WAY IN TO MUSIC TEAM here. With post-production and digital delivery support from Director and Producer, Ron Brown. Request a catalogue or an in person session with one of the This Way In To Music team members. You can also phone us on +61.421.99.55.22. We are also in search of CORPORATE SPONSORSHIP or seed funding to complete our first year’s post-production series. If you want to help, contact (+61) 421 99 55 22 or email thiswayintomusic AT gmail DOT com.